This year, the kids saw their first fireworks show (we are infamous among many of our parents for putting our kids to bed when it’s still light out. 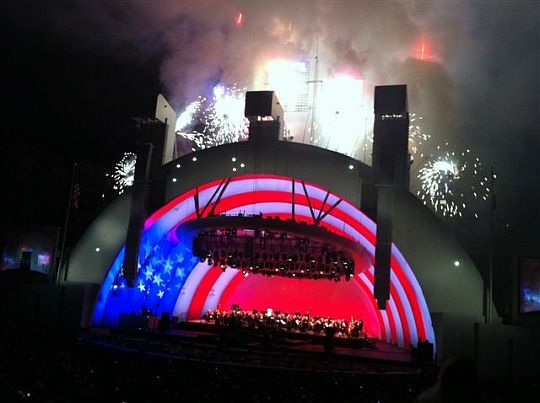 But this year we figured they were old enough to take to the Hollywood Bowl for their Independence Day weekend show. Hall & Oates were the headliners, and maaaaan, they got HITS! From “Sara Smile” to “Private Eyes” we were rocking from start to finish. I didn’t know the conductor of the Hollywood Bowl Orchestra was a black man, but man that made all the sweeter as I discussed his job with the kids. No need to make it an explicit racial conversation…him standing there is all it takes.